Despite the abysmal doctor-patient ratio in India, healthcare is one of the largest sectors in India in terms of revenues and employment according to India Brand Equity Foundation. 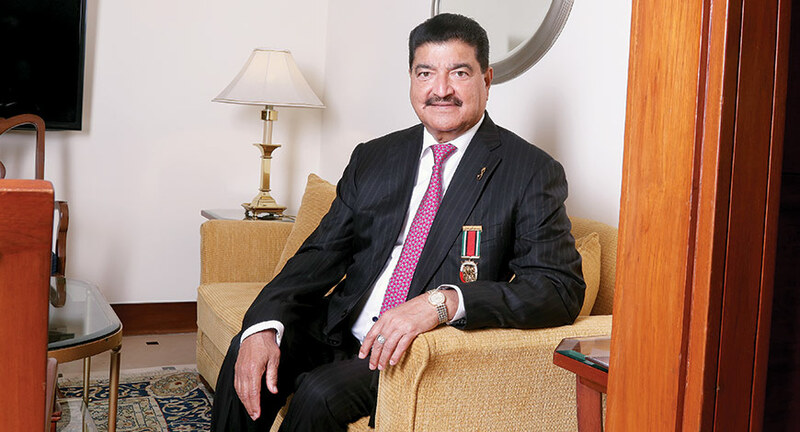 Elaborating on how access to quality healthcare is one the biggest challenges in India currently, Abu Dhabi-based Indian billionaire B.R. 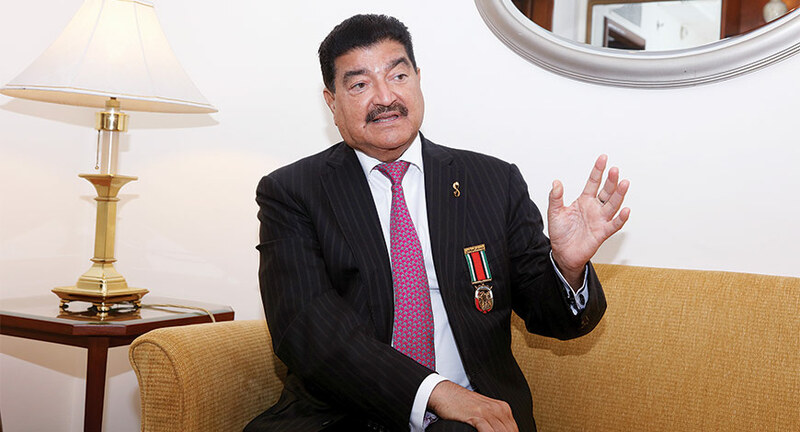 Shetty, founder and chairman of BRS Ventures, says that the healthcare system in the UAE is “well regulated with ethical practices in place”. Due to the sheer size and diversity of India, standardisation of healthcare system gets challenging, says Shetty in an exclusive chat with Paramita Chatterjee and Suman K. Jha. You have built a healthcare empire in the UAE over the past four decades. What makes you foray into India now? To begin with, I hail from India. Therefore, even as I have established a healthcare business in the UAE, the plan has always been to do something for the betterment of the people of my country. This is what led to the creation of BR Life in India. My mission in life is to serve the community, by way of my professional ventures and personal pursuits. BR Life includes hospitals in India and the sub-continent. SUT Hospital in Thiruvananthapuram was the first BR Life hospital in India that was established in 2013. Sree Narayana Hospital in Raipur, SSNMC Super Specialty Hospital Bangalore, Mother & Child Hospital in Udupi, Kalinga Hospital in Bhubaneshwar and The Grande International Hospital in Nepal are the other hospitals under the BR Life umbrella. What are the key challenges in the Indian healthcare sector today? Access to quality healthcare is one the biggest challenges in India today. India has a lot of qualified healthcare professionals but there is a requirement for a lot more. We have organisations that want to work for the betterment of the society, but there is still a long way to go. Hence, the result is, we are struggling to build a healthy nation. A large section of the average Indian population is left wanting for more. By that, I mean the need to access quality healthcare at affordable costs. It may be worthwhile to note that while most of the quality healthcare facilities are present only in the big cities, they need to be extended to tier 2/3 cities and rural and tribal areas as well. In addition, our ability to deal with pandemics as a nation, too, needs to be improved. How would you compare the healthcare system in the UAE with that of India? It would be hard to compare the healthcare system of UAE and India. India is a very large country with a diverse population compared to the UAE. It would be unfair to compare the two. Having said that, the healthcare system in the UAE is very well regulated with ethical practices in place. The healthcare policies in the UAE are relatively easier to implement and hence sustainable. Insurance there plays a major role in covering the costs that patients incur. It is also worthwhile to note that the country has a sizeable expat community. All these help in running the system in a smooth manner. Now, coming to India, due to the sheer size and diversity of the country, standardisation of healthcare system gets challenging. I would say it is doable, but it will take a much longer time. What are the lessons that India can learn from the global healthcare system? The healthcare system is fragmented across the world. Each region has developed the best methods and practices suitable for their people. For example, in the US, the general practitioner (GP) acts as the primary filter in recommending patients to specialists. The GP’s role, thus, becomes very important. Another key differentiator is who is footing the patient’s bill. If it is the government, then the GP’s role becomes important again. If it is the individual paying for healthcare, then people who have the spending capability, have access to the best quality of doctors. In the UAE, the situation is pretty much similar. In India, however, people who are of a higher economic status, go to the best doctors. In India, we need to make the GP and primary healthcare system robust. These two systems are relatively easier to set up across all tiers. This will also ensure easy healthcare access to people and lighten the load on the hospitals. Going forward, how can India contribute to the world in terms of health systems? India has the largest number of healthcare professionals in the world. The medical students in India get the highest exposure to varying disease training. Some tropical and unique diseases like congenital heart disease, unseen in other parts of the world like the US, are prevalent in India. In the past, medical students used to travel to the West to get a degree. But the trend is increasingly changing. Now, we see a lot of students who prefer to come to India for their internship. India is growing and so is the young population. Hence, the number of specialities in India are much more than the West where the focus is on geriatric care. Also, medical tourism is a new and upcoming area of business in India. There is an increasing number of patients travelling to India to avail medical facilities which are of high quality but much affordable when compared to the West. The medium of medical education in India is English. Across the world, most of the medical education and journals are in English. Thus, for Indian doctors, language is not a barrier and they can comfortably practise in any part of the world. What are your views on making healthcare affordable to the masses in India and how can we achieve it? This is a very good question and my vision as well — to make quality, ethical healthcare at affordable costs. The approach at BR Life is very similar. We have a corporate office in Bengaluru. The central procurement team and the main operations team is based here. With this set-up, we can leverage on our buying power and can pass on the cost benefit to our end consumers. With a core corporate team in place — nursing, purchase, IT, HR, among others, and minimum teams at the hospital locations — we are able to bring in operational and supply chain efficiency. After all, centralised purchasing helps in reducing costs. ‘Healthcare affordable to the masses’ — this is the need of the hour. India is a young country where a major percentage of the population is in the 20-50 age bracket. Soon, the population will begin to age and their earning capacity will proportionately decrease. Hence, India needs to act on this proposition of making healthcare affordable rather fast. A host of our single-speciality chains have come up in recent times attracting significant investor interest. Alongside, there are multi-speciality hospitals in the country. How will the two models co-exist? Both the models are essential in the Indian healthcare system. In fact, I would say, their co-existence is vital to cater to the varying needs of the patient groups. For certain areas specifically, for example, eyecare, cardiac care, ortho care, among others, single-speciality chains play a very important role. Having said that, in these areas, they need to be the best — that is where their key differentiator lies and it would be great if they also have diagnostic centres along with them. Multi-speciality centres will also need to exist. After all, these centres cater to the masses. Currently, the doctor-patient ratio in India is abysmally low. Besides, there is an acute shortage of trained nurses, which is proving to be a major setback to expansion of health services in India. Although India has one of the largest share of doctors in the world, they are unfortunately concentrated in the big cities. Measures should be taken to incentivise doctors to serve in tier-2 and -3 cities as well as in villages. If you ask me how this can be achieved, here is the answer. After graduation, before MBBS professionals begin their post graduation, doctors could be asked to sign a bond to serve for some time in villages. This will give them great exposure, enhance their learning and make even the lopsided distribution of doctors in the county. There are select states in India, for example Kerala, Punjab that contribute the most to the nursing system. As a country, we should share this responsibility across all states and the respective state governments should take up this cause and enhance the nursing education and training institutes. What are your views on the government’s ‘ease of doing business’ and ‘Make in India’ initiatives? We are constantly in contact with the government of India for several projects that we are working on. For example, we recently signed an MoU with the Telangana government to set-up a pharmaceutical manufacturing and R&D unit on approximately 20 acres land. We will also be setting up medical device manufacturing unit (medical equipment including dialysis machines, medical aids, hospital furniture, among others) on approximately 20 acres of land in Telangana Medical Devices Park, Sultanpur in Hyderabad; greenfield multi-specialty hospitals of aggregate capacity of 500 beds on aggregate land size of 20 acres and higher education institutions (Medical, Engineering and Management) on approximately 50 acres land. We have recently made our inroads into India. I am sure with the support of the government, we will be able to grow and establish our businesses across several verticals.